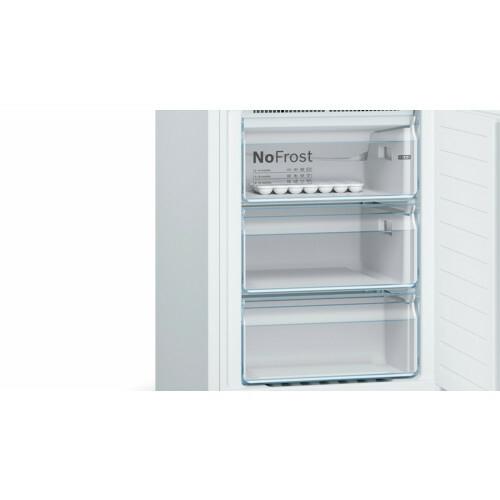 Series 4 No frost, Fridge freezer KGN36XW35G features unmistakably modern design with a white finish that combines perfectly with cutting-edge technology. 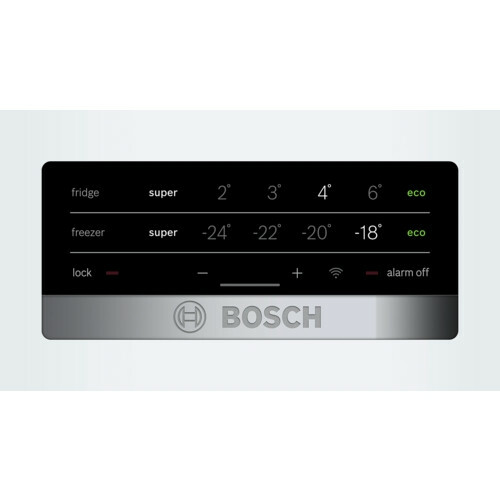 Some of the other features include SuperFreezing and an automatic defrost system which works by automatically defrosting at regular intervals; eradicating the need to defrost altogether. 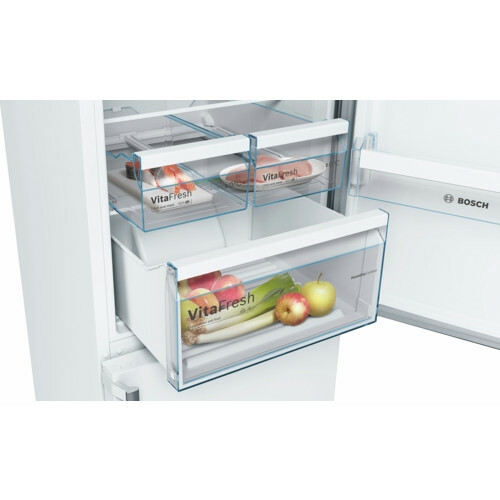 This fridge will not only be a talking point of your kitchen but will make life easy with so many great refrigeration options. 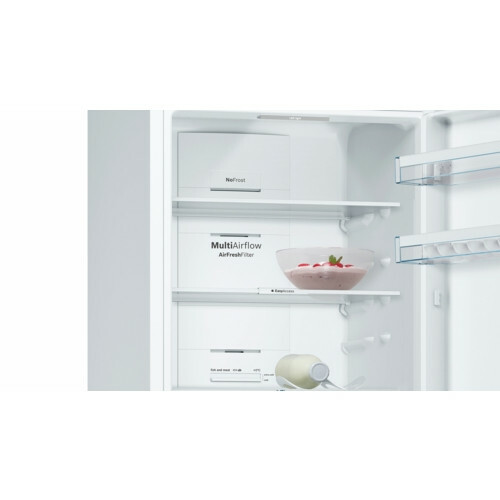 With an A++ energy rating, you can save money on your bills because of this appliances efficiency. 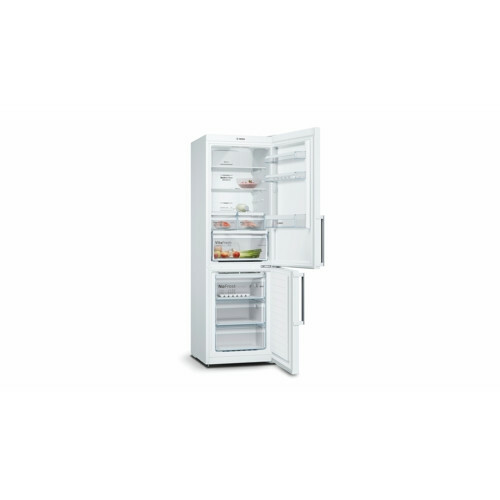 This upright fridge can safely and securely refrigerate your items with a total net capacity of 324 litres, a noise level of 39 dB(A), an A++ energy efficiency class and many more features and functions.